Flatline is very good. It is probably one of the scarier Doctor Who stories of the New Doctor Who era. Not just that it manages to be fun and continue the thread of Clara's relationship with Danny, her dishonesty and her increasing 'addiction' to the Doctor's universe. In this story, she even gets to play at being The Doctor. To the Doctor's own chagrin. There's even a companion for Clara, Rigsy. He's a graffiti artist who might be an artist. [Pause here for discussion about graffiti and art before getting into the depths about what is art and who gets to decide.] Rigsy is played by Jovian Wade, who does a fine job being a companion. He also gets to (almost) die a courageous death but is gazumped by Clara's hairband. Even the pre-credit sequence is quite dark, and it tips us - the viewer - off to the problem we might be facing, but that it takes the Doctor and Clara a little more time to realise. The scene with PC Forrest (Jessica Hayles) is damn disturbing. It becomes even more so when we realise that the 'Boneless' have 'graffitied' her nervous system all over the wall. 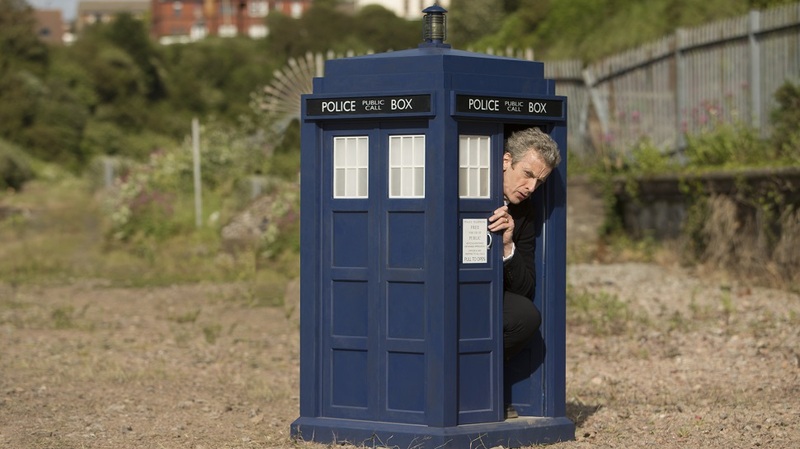 Meanwhile, the Doctor is trapped in the ever-shrinking TARDIS - its external dimensions at least - and trying to work out that problem. Of course, the two are linked. Unusually in this story, we're ahead of the Doctor and Clara as we've seen what happens to people already. They haven't. It's only when the Community punishment team are attacked right in front of Clara that we realise what's happening. We get one of the Doctor's big speeches about who he is. Once again, I think this is aimed less at the aliens and more at the audience at home. It's an 'I am the Doctor' writ large and in fiery capital letters. I like Capaldi's delivery of the speech, I'm just not at home with the Doctor being turned into this legend. A legend who, periodically, needs to either remind people of his own legendary status via speeches (or get other people to do it on his behalf.) I know they can be fun. I know they can be endlessly quotable, but they just don't seem very Doctor-ish. It's his enemies that make grand 'peoples of the universe please attend' style speeches. It gloriously illustrates their pompousness (and often their lack of humour) so I'm always a bit uncomfortable when the Doctor does it. The solution Clara comes up with is clever and ridiculous. But it works. 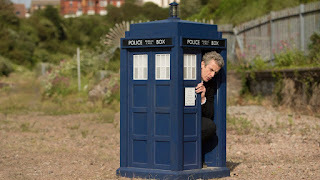 The TARDIS, which by this point had been reduced to a large block had lost its Police Box exterior and is in 'lockdown'. We get to see this process reversed and victory is Clara's (and the Doctor's). There's a nice farewell scene for the survivors, which includes the unpleasant git Fenton. And git is the only word that really fits that one can use in a family blog. However, we get to see the Doctor and Clara discussing Clara's 'Day as The Doctor'. Clara seems to want to be graded like it is homework, but the Doctor is less comforting. I'm not sure if the Doctor is worried about Clara's behaviour or still fretting about whether he's a 'good man' or not. Possibly a bit of both but he doesn't applaud Clara's work the way she expects. And we all now know that Clara's lying to Danny. The Doctor calls her out on it but we never have it properly discussed. That's a thread to pull at on another day. So, to conclude Flatline is an excellent story. I haven't commented on the weird jerkiness of the 'Boneless' once they start to get their heads around three-dimensions. Were they working towards perfect replicas? Whatever. They're a creepy addition to the Doctor Who universe, although whether they've got much comebackability [Yes, I'm making up words again.] is moot. It's fantastically well-written by Jamie Mathieson and directed by Douglas McKinnon. It might be my favourite story of the Series 8 - so far. Next up - In The Forest of the Night, which I think I'm expected not to like if its reception on the first broadcast is anything to go by but as I'm the sort of fan that loves The Web Planet, The Gunfighters, The Horns of Nimon and The Happiness Patrol we shall see. I have a high tolerance for whimsy, as you should have already realised.